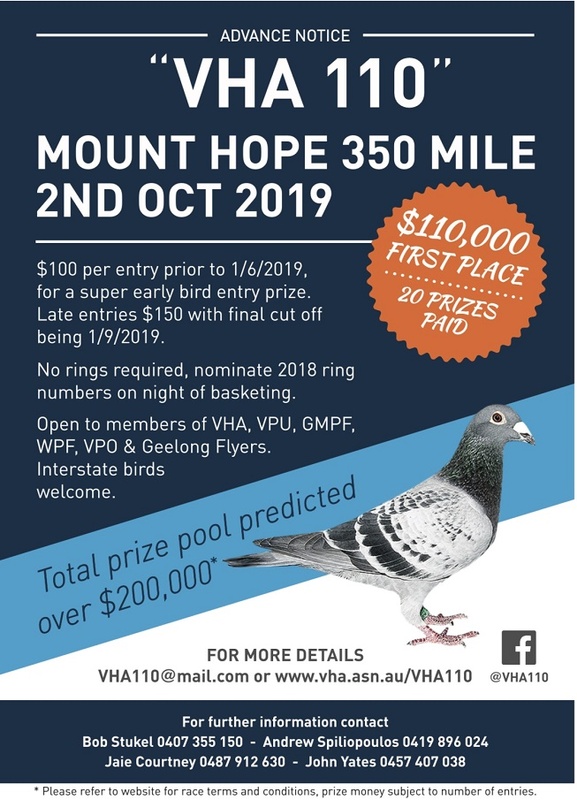 The 658 VHA and 112 pigeons from other organisations were released at 7.15am.Weather conditions were no wind and 100% blue sky. The birds grouped and left well and were out of sight in 5 minutes towards home.Clock production is 8.00pm Saturday. Good Luck. 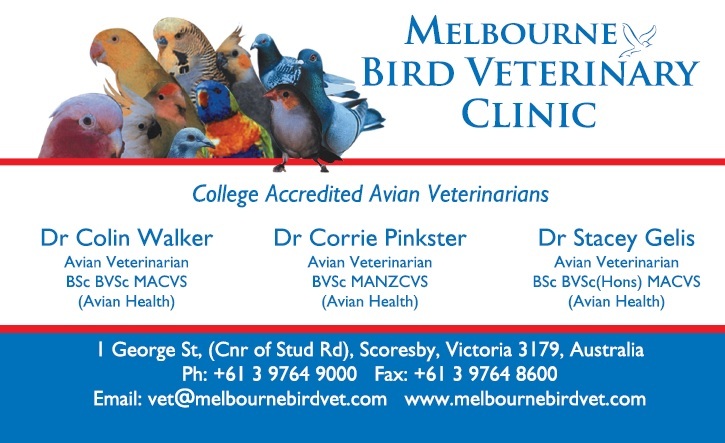 The press releases fom the AUSTRALIAN NATIONAL RACING PIGEON BOARD (ANRPB) re the current virus situation are in the VET CORNER section of this web-site. This includes details of the 'FIGHTING FUND' set up to defray the various costs that will be involved in developing, trailling and organizing manufacture of a suitable vaccine. 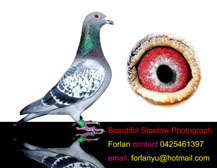 - The protection, welfare and care of Racing and Show Pigeons. - To encourage the participation in and conduct of pigeon races. 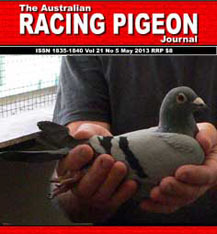 sport of racing and showing of pigeons. Association in all matters connected with the said sports. The AGM will be followed by the February Delegates meeting. Members are still invited to attend, however, those participating will be Club delegates and Executive Officers.